Christmas...Just Remember offers 12 tracks bathed in the styles of urban and gospel. Notable tracks are the steady, rhythm-oriented version of "A Strange Way to Save the World," "A Child to Save the World," and "Go Tell It on the Mountain." 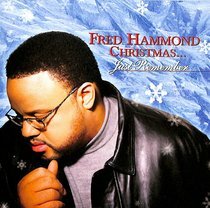 :Christmas...Just Remember offers 12 tracks bathed in the styles of urban and gospel. Notable tracks are the steady, rhythm-oriented version of "A Strange Way to Save the World," "A Child to Save the World," and "Go Tell It on the Mountain."